AH&LA May Luncheon Event - Austin Hotel & Lodging Assoc. Art Acevedo is Chief of the Austin, Texas, and Police Department as APD. He leads a department of 2,400 sworn law enforcement and support personnel who carry our police operations within the City of Austin, as well as the Austin-Bergstrom International Airport, city parks and lakes, and municipal courts. With an annual budget of $309 million, APD serves Austin’s diversified population in the 11th largest city in the United States. Under Chief Acevedo’s leadership, the APD has been reengineered into a data driven and intelligence led policing organization. The first Hispanic to lead the Austin Police Department, Acevedo brings a unique understanding to the concerns of the diverse Austin community of African Americans, Hispanics, Native Americans, Asians and Anglos. Acevedo grew up in California, earning his Bachelor of Science degree, with honors from the University of La Verne in California. Acevedo began his career in law enforcement as a field patrol officer with the California Highway Patrol in 1986. He was subsequently promoted through various positions of increasing responsibility to Chief, California Highway Patrol in 2005. 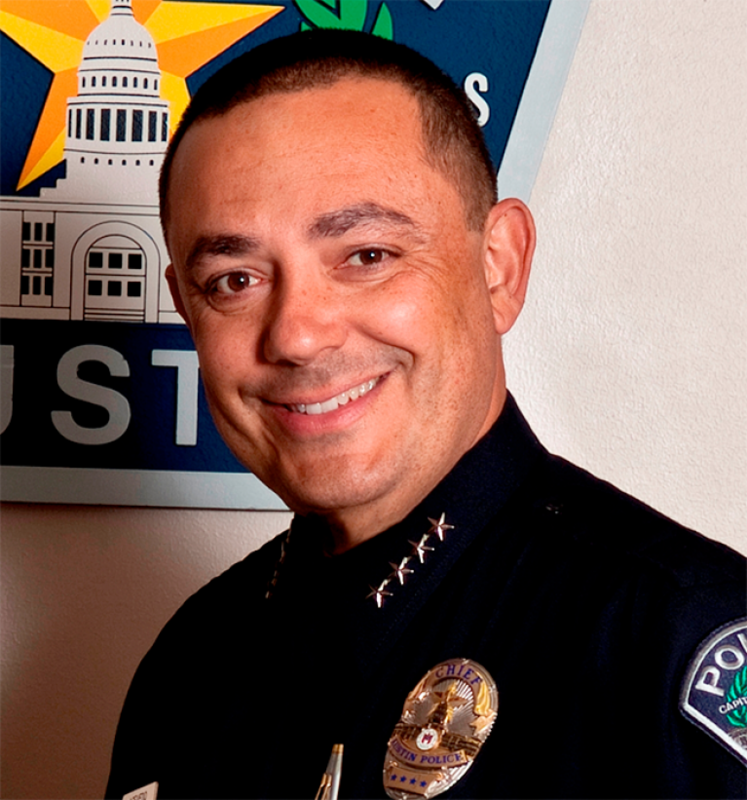 Acevedo holds various leadership positions with the Major Cities Chiefs Association and the International Association of Chiefs of Police and has been with the Austin Police Department since July 2007. Acevedo and his wife Tanya Born Acevedo have are proud parents of 3 children Melissa, Matthew, and Jake.